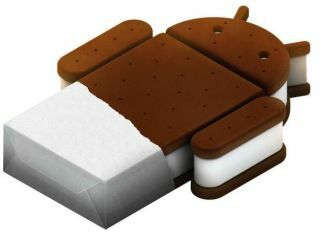 Having been burnt by Android upgrades in the past, HTC has had a good look at Ice Cream Sandwich, aka Android 4.0, before committing to upgrading as many handsets as it can. The company's latest statement speaks of its caution in promising too much Android 4.0 action too soon. It reads: "Since Google unveiled Ice Cream Sandwich earlier this week, HTC has been looking closely at the new OS's features and functionality to determine our upgrade plans. "We're a recognised industry leader in providing fast and consistent upgrades to our Android devices, and Ice Cream Sandwich will be no different." "Upgrades require a careful balance of hardware and software to ensure the best possible performance and usability, so please stay tuned as we assess our product portfolio," it continues. "Our goal is to upgrade as many HTC devices as possible and we'll be sharing details on specific devices and timing in the coming weeks!" Not sure what that exclamation mark is about, but we're not about to let it distract us from the memory of the HTC Desire Gingerbread palaver which gave Android updates in general a bit of a bad name. No doubt HTC has learned from past mistakes, which will mean that only devices that can actually handle the software upgrade will get it – so expect that to mean the higher-end handsets, possibly the HTC Flyer and probably not the original HTC Desire.